Dr. Bruce Reid has been practicing next to LensCrafters since 1987 when he opened his first two eye care offices at Northlake Mall and Lenox Square. Since that time he has owned and operated nine independent doctor offices next to LensCrafters. His current offices are located at The Mall of Georgia in Buford and Town Center at Cobb in Kennesaw. Dr. Reid received his Doctor of Optometry (O.D.) degree from the Pennsylvania College of Optometry in 1986. He is fully credentialed to practice full scope optometry including general eye care, contact lenses, and diagnosis and treatment of eye disease. Dr. Reid completed his externship training in contact lenses and eye disease at the Charleston Naval Hospital Optometry/Ophthalmology clinics and at a large contact lens specialty practice in Charleston, SC. His undergraduate studies were done at Allegheny College in Meadville, Pennsylvania where he earned a B.S. in Physics. 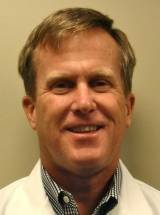 Born and raised in Wilmington, Delaware, Dr. Reid moved to the south for the warmer weather. On his days off he enjoys playing golf, jogging, and spending time with his wife (LeeAnn) and their two daughters (Jenna and Jessica). He has lived near Acworth since 1988.